Prediction time: Not everything is that obvious. The word ‘Mania’ is quite correct in WrestleMania. The annual event sees some amazing hype and coverage months before the actual event, lest the event itself is really crazy. This year has been no different – both in terms of the hype and the card for the show. 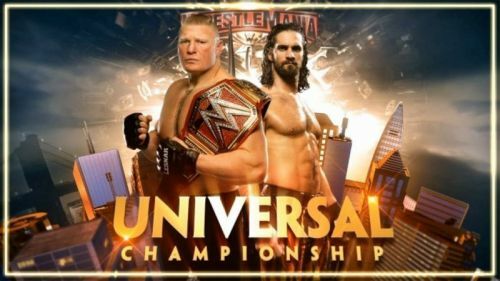 In fact, WrestleMania 35 is predicted to have 17 matches on the card and the event will be on its way the longest ‘Mania ever. Fire n Desire has certainly not been on the same page recently. There had been doubts If Asuka will walk out of Fastlane as the SmackDown’s Women’s Champion, but the Empress of Tomorrow successfully defended her Championship against Mandy Rose. But, it happened in controversial circumstances as Rose slipped off the apron due to some ignorance on Soniya Deville's part. And now the rumors suggest that Asuka will now defend her Women’s Championship against both Mandy Rose and Soniya Deville. While it’s startling that WWE has decided to break-up the team of Rose and Deville, it’s still nice to see them putting the spotlight on young talent. It doesn't always happen. However, it seems too early to put the title on either Rose or Deville. For instance, Rose clearly looked a step behind the SmackDown Women’s Champion. Moreover, even though Asuka has been criminally underutilized throughout her main-roster run, WWE has still protected her quite a bit. It’s for nothing that they let her beat the company’s most 'over' star, Becky Lynch, clean at Royal Rumble – one of WWE’s four big PPVs. Hence, Mandy Rose might be ‘God’s Greatest Creation’ and Deville certainly looks a legit star for the future whenever she steps inside the ring, but it will be Asuka who enters and leaves the MetLife Stadium as the SmackDown’s Women’s Champion. Also, expect Rose and Deville to reunite as a tag-team sometime later, and win the Tag-team Championship before 2019 ends.